The Beatles are a very special band who made a lot of great music, and Revolver is one of the shining examples of this. The record is considered to be one of their first ventures out into the weird and wonderful World of music. After spending so many years playing upbeat love songs with a basic structure, the band decided to take themselves into a complete different direct with this one. Obviously listening back it’s easy to overlook all of the innovative musicality of it , but when you sit down and consider that this album was released back in 1966 you should be quick to realize that this was well ahead of its time. So what made this album so great? This album was released 1966, yes, when England won the world cup so a good year for football as well as music. Considering they only released Rubber Soul only a year before this it’s incredible to think they managed to create this in only one year . Having taken LSD in 1965, this had an influence on their ,musical direction and songwriting, working undoubtedly in their favour. Of course LSD was not the sole reason for this album being what it is, but it’s hard to argue that it had no influence on it at all. George really came out in this album as he had three of his own songs in there, and I think he done himself justice, showcasing what he was capable of doing given the creative space as a songwriter. So why this album over every other Beatles album? I think it’s because it’s the one that always sticks out in my mind whenever I think of The Beatles, immediately I think of Revolver. I’m a big fan of when The Beatles started to lean to the stranger side, and really experimented with their music (backward guitars etc. ), but they also kept a bit of the material they had in their previous albums. 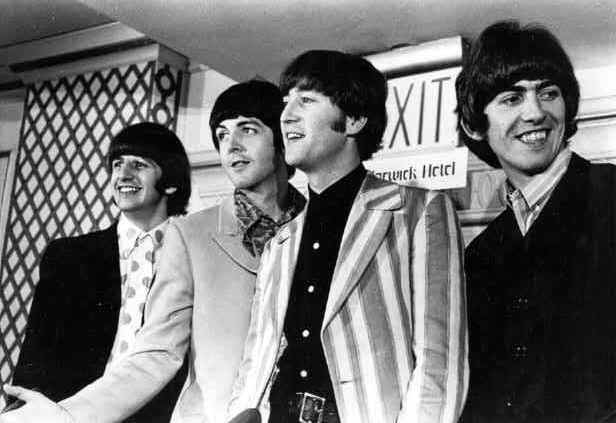 By this I mean you have songs like ‘Tomorrow never knows‘, ‘I’m only sleeping‘ and ‘Love You Too’, but as well as these you have songs with more melody, more simple but brilliant songs like ‘Cry for no-one‘ (Which I think is one of the most underrated Beatles songs) and ‘Here There and Everywhere‘. So this album is really versatile in that sense, with the type of songs that are on there. Then you have the classic riff of ‘Taxman‘ featuring, which I think is one of the best riffs there will ever be, it’s pure genius, and the best thing about it is that it isn’t really complex. George plays it in such a way he makes a bland riff really exciting, combining that with the treble sound it really sticks. You also have the classic riff off ‘And Your Bird Can Sing‘, I can hear it in my head now, so I think I will put the video on here. As well as all the brilliant music pieces in this album, the vocals on the album are incredible. I personally think John Lennon’s voice is second to none, not a brilliant singer but his voice has just got the right amount of huskyness(no huskyness is not a word) in it. ‘Yellow Submarine‘ features on the album, whenever I hear this song on it’s own, out the blue It just makes me think of infant school, I’m sure we did something with the song there and it’s scarred me for the rest of time. But when you put that song in the mix with all of these, I accept it because it’s a sort of break from it all and you can have a nice sing along. If you get into that song Ringo’s got another lovely little number called ‘Octopus’ Garden‘, which doesn’t get as much credit as it should. However with Ringo featuring like this, you can hear that each of the guys had their hand in it. Finally this brings me to the simple brilliant (I hate using this cliche) ‘Eleanor Rigby’. I learnt this on guitar, it is the most simple song to play, and at the same time gives you a lot of pleasure. This one of my favorite songs on the album along with ‘I’m only sleeping‘ and ‘Taxman‘. I don’t think you can get much better than this album, it was way ahead of it’s time, you listen to it now, still sounds fresh. For all the brilliant elements in this album, the riffs, vocal, drums, everything there’s not a thing they do wrong. One critacism…there isn’t one. I’m right there with you man – I totally agree with you. Except for maybe Abbey Road (I adore that album – the medley is inspirational) it is probably my most played Beatles album and it appears almost in it’s entirety on my Ultimate Playlist. There is not one weak link. ‘And Your Bird Can Sing’ is one of my all time favourite Beatles tunes off this album. It’s got everything The Beatles were about in it; energetic riff, three part harmonies, psychedelic lyrics, creative baselines, and an all round jaunty feel. There’s something really special about this album that is far too often over looked as Sgt Pepper hogs all of the glory, but I fervently believe Revolver stands up better by far. Thankyou, I know I think that is often the case that Sgt. Pepper steals a lot of the glory. As for Abbey Road, it’s probably my second favorite Beatles album, for the same reason, the medley is amazing, I don’t think any other band could do that, especially singing about a man who sleeps in the park and shaves in the dark… there’s no one. I think I might do a post for each Beatles album or rate The Beatles albums and give my reasons haha. 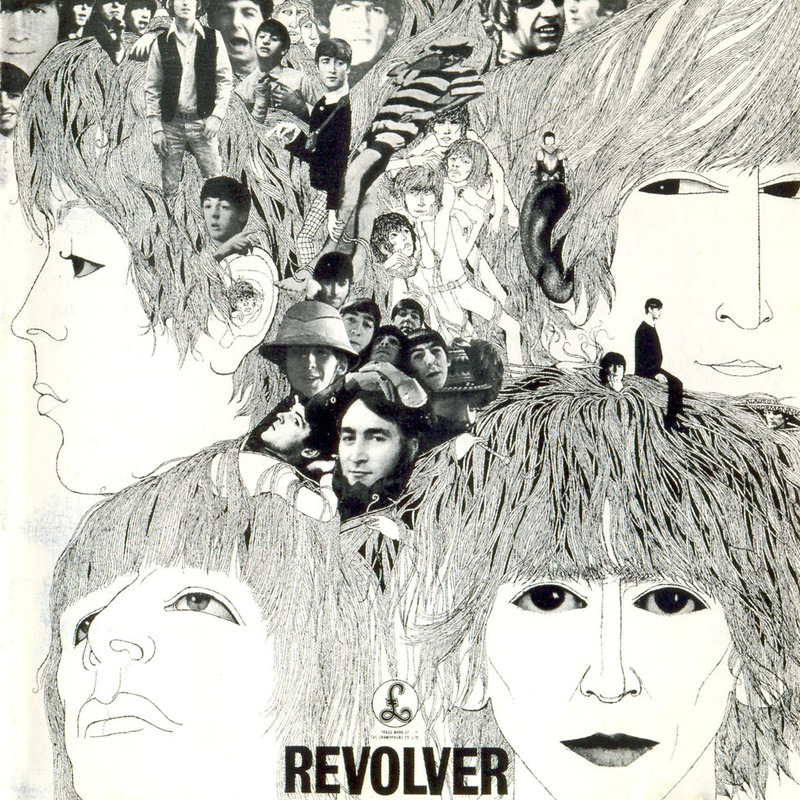 Revolver is definitely a high point in the Beatles’ canon. My parents gave me this album for Christmas. Of course I got the American version.Thank goodness we have the British versions now. And Your Bird Can Sing was the opener for The Beatles’ Saturday cartoon show. I heard a lot of songs thanks to this show. I love that guitar sound. The album cover was awesome as well. I too, prefer this album over Sgt. Pepper. Maybe I’m just being nostalgic. Tomorrow Never Knows sounds other worldly. Got To Get You Into My Life has a Motown vibe. The singing on this album still has that Beatles harmony sound. The American version didn’t have And Your Bird Can Sing , I’m Only Sleeping, and Dr. Robert. You had to buy Yesterday and Today. Thank you, Capital records! That’s the one that originally had the butcher cover. This was the summer of the we’re more popular than Jesus tour. That was a hot topic that summer. I was living in N.C. (and I still do) and people in the deep south don’t take kindly to that sort of talk. John was right. I mean , Jesus lost the only popularity poll that he was in. They did choose to release Barabbas instead of Jesus. He went on to say he could have said motor cars and T.V. were more popular. Right again. He definitely regretted saying it.